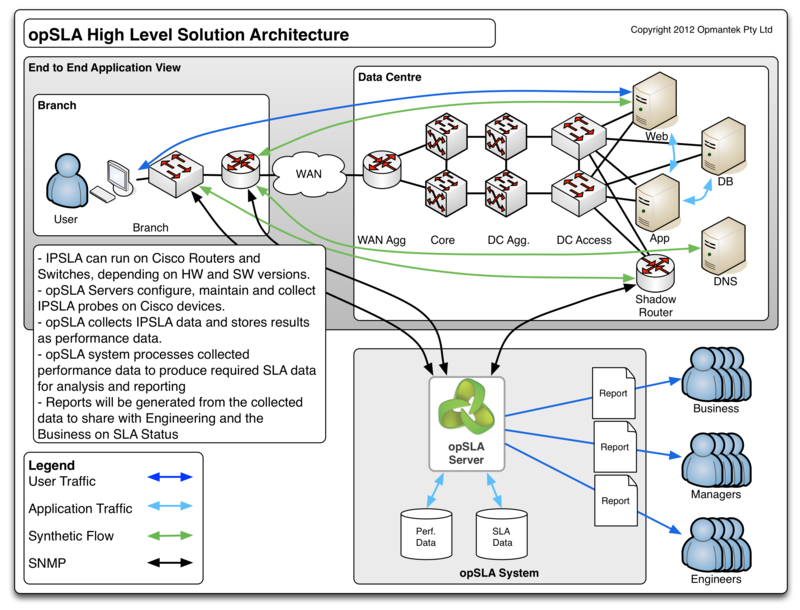 Highly scalable Cisco IPSLA support. 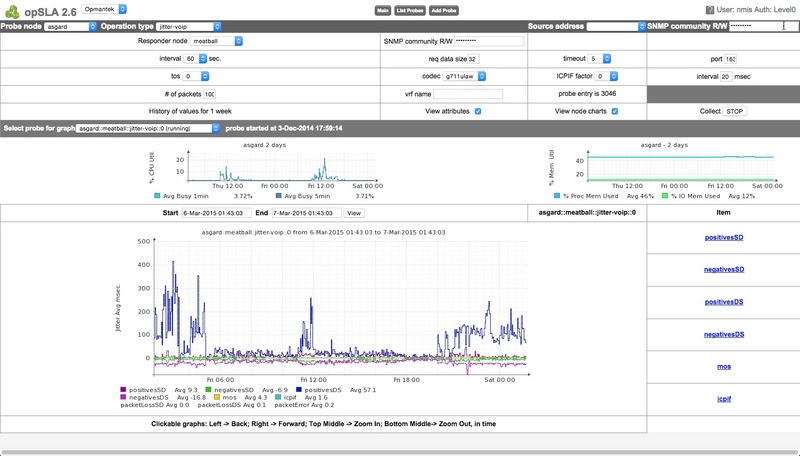 opSLA allows you to deploy and configure probes directly from NMIS so that you can measure and monitor network and application response time with ease. As the dependence on online applications and the demand on enterprise networks increases, the ability to effectively measure and monitor network and application response time has become critical within enterprise environments. opSLA integrates Cisco IPSLA support directly into NMIS, allowing organizations to create and manage IPSLA probes on Cisco routers and switches. opSLA provides large scale IPSLA support – scaling easily from a single probe to 10,000 probes across 1,000’s of devices. This provides network teams with baseline information about network performance, verifying Quality Of Service (QoS) levels, and helps identify the root of a problem when network performance levels drop. Connect to web servers, measuring the DNS resolution, TCP connect time and the time taken to download the web page. Recreate the exact delay, jitter and loss performance of your voice and video traffic to monitor how well your voice service is being delivered. Providing live ”Mean Opinion Score” and Impairment Factor results to alert you when conditions are unacceptable and the reason why. Collects and stores the results in the performance database, ready for viewing and reporting. Provides baseline response time reports. Opmantek holds regular webinars hosted by our engineering team to help you get started and explore advanced features. Visit the webinars page on the website for topics, dates and times: https://opmantek.com/free-web-seminars.